PLEASANTON, Calif., May 22, 2018 /PRNewswire/ -- Providence Medical Technology, Inc., a manufacturer of innovative instruments and implants for cervical fusion surgery, today announced it has received 510(k) clearance from the United States Food and Drug Administration (FDA) for its DTRAX® Spinal System ("DTRAX") to be specifically indicated for use in posterior cervical fusion in patients with cervical degenerative disc disease. This 510(k) clearance provides a more specific indication for the DTRAX Spinal System, which was a Class I medical device more broadly indicated for access and preparation of a spinal joint to aid in fusion. DTRAX Spinal System is a set of instruments indicated to be used to perform posterior cervical fusion in patients with cervical degenerative disc disease. The diameter of the largest instrument is less than 1cm. 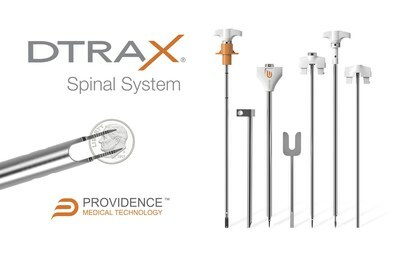 "With the FDA 510(k) clearance of DTRAX Spinal System, Providence now has the only sterile-packaged, single-use set of instruments specifically cleared for posterior cervical fusion," said Providence CEO Jeff Smith. "Our unique, single-use instruments assist surgeons in performing the steps of a traditional posterior cervical fusion. 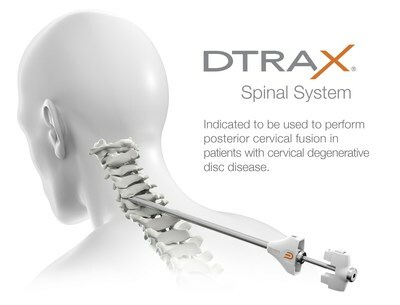 We believe DTRAX represents a landmark innovation for cervical fusion benefiting patients, surgeons, facilities, and payers." The DTRAX Spinal System is a set of surgical instruments indicated for performing posterior cervical fusion in patients with cervical degenerative disc disease. The system consists of several specialized single-use instruments including a facet joint access instrument, lateral mass decortication trephine, mallet, cannula, decortication rasp, decortication burr, and bone graft tamp.